Terming them bogus, the state cancelled over 11.6 lakh ration cards over the last year. Since then, there have been at least six starvation related deaths. 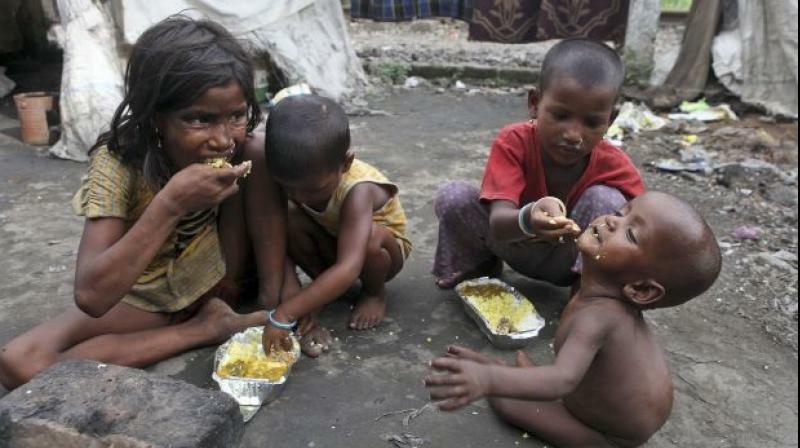 New Delhi: Two more starvation deaths have been reported from Jharkhand within a span of ten days. The state had witnessed four suspected starvation deaths between September and December last year. The deaths had led to questions about the Raghubar Das government’s ability to ensure regular food supply to the state’s poor and needy. The government, which is run by the BJP, had earlier also come under scathing criticism for allowing problems with Aadhaar linkages to result in the denial or disruption of food grains through the public distribution system. 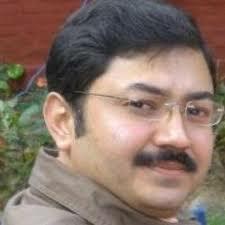 In fact, following the death of 11-year-old Santoshi Kumar late last year, food minister Saryu Roy had admitted that the government had taken a few missteps. However, if the details of the latest cases are anything to go by, it appears as though the lessons from previous mistakes haven’t truly sunk in. Both the deceased, who died of suspected starvation, were around 60 years old and had been forced to go without food for different reasons. However, unlike the earlier incidents, Aadhaar is not the culprit here. The first of these incidents was reported from Murhu block of Jharkhand where a 60-year-old man, Sudama Pandey, died of starvation at his home in Kodakel village on May 25. According to local villagers, he was mentally ill and had not been receiving his rations for the last month and a half. Quoting his neighbours, local media reported that Pandey, who lived alone, earlier had access to government-supplied rations. But after the supply got interrupted, his access to food also snapped. As a result, his condition kept deteriorating and he finally breathed his last on May 25. Area sub divisional officer Pranav Kumar Pal, however, stated that he was not aware of any starvation-related death but would get the matter probed. In the other case, 58-year-old Savitri Devi died of suspected starvation at Mangargaddi village under Dumri block of Jharkhand’s Giridih district. According to local media, her entire family ran out of food and had nothing to eat for three days after months of not having much to eat. Both of Devi’s sons live outside the state to earn a livelihood, but both had been off work for around six months and were unable to send money home. While her elder son was employed with a power transmission line project in Busawal, her other son was employed with a private glazing company in Rampur, Uttar Pradesh. Due to a lack of finances, the family – which comprises of the wives of her two sons and their three children – was forced to borrow food from neighbours and friends and borrow money from the local self-help group. But even this money eventually ran out. Though the self-help group had given the family three ‘paila’ of rice (equivalent to nearly 5 kg) a while back, with so many members to support, the family had run out. While the children still managed to fight their hunger as they were also getting food at the nearby anganwadi centre, the rest were left to starve. Other family members and neighbours had also been helping out for a while now, but their largesse due to their own limiting circumstances was not enough. Despite such a state of affairs, even as the family slipped into dire straits and battled to gain access to government foodgrains, no support was forthcoming from village or block officials. That the family did not have a ration card was the main reason why it had no access to subsidised or free foodgrain through the PDS. District officials told the media that they were probing if Savitri Devi’s family had submitted an application to get a ration card made. Executive magistrate and Dumri block development officer (in-charge) Rahul Dev confirmed that the family did not have a ration card. “Prima facie, there was no food in the house. The family did not have a ration card. Probe is underway to ascertain whether an application was submitted or processed further,” he was quoted as saying. The elder daughter-in-law of Savitri Devi, Poornima Devi, had stated that the family had also borrowed two paila (nearly 4 kg) of rice each from two of their neighbours. For several days, they survived only on the rice and its watery starch. The younger daughter-in-law, Soni Devi, said the family owned a small plot of land in which it was able to grow only about 25 kg of rice for its own needs. She also disclosed that the family had borrowed Rs 6,500 from the self-help group and that this money was used to keep the house running for the last many months. Ram Prasad Mahto, the head of Chainpur panchayat, said Poornima Devi had met him and that he had verified her ration card application, but he was unsure if she had submitted it in the block office for further procedure. His statement assumes significance as it is being alleged that the forms of 120 beneficiaries were indeed sent for endorsement to the panchayat sewak (panchayat helper), but he had not carried the process forward. The local legislator, Jagarnath Mahto, expressed his regret at the starvation death and termed it an example of the failure of the state BJP government’s inability to meet the needs and aspirations of its residents. Jharkhand has had an abysmal record of late when it comes to ensuring that all its citizens had access to food. The state has witnessed technical glitches in the delivery of rations and pension which have led to the death many of its elderly citizens as also a young girl. Incidentally, both these groups remain the most vulnerable in the times of extreme adversity. The first in this series of tragic deaths was that of 11-year-old Santoshi Kumari in September 2017. In Delhi, right to food activists had later claimed that her family’s ration card had been suspended as it was not linked to Aadhaar. Her sister had stated that the family had not cooked any food for eight days as there was no grain in the house. On the day of Santoshi’s death, September 28, the family had also asked the neighbours for food, but not got any. It had only had tea. Around 8 in the night, Santoshi had started complaining of a stomach ache and died a couple of hours later. Her death had taken place despite an activist repeatedly complaining to the administration about her family’s condition. He had also raised the family’s plight at a “janta durbar” and before the deputy commissioner. Though the state government had initially stated that Santoshi was ill and suffering from malaria, the minister had later admitted to its mistake. “It’s a fact that the names (of Santoshi’s family) got struck off the ration list due to Aadhaar issues, which means they stopped getting ration. The cancellation of the family’s ration card was our mistake. We are on the back foot,” Roy was quoted as saying. In late October 2017, Ruplal Marandi died in Deoghar district after being denied grains as the Aadhaar-based biometric authentication of members of his family had failed. Then on December 1, a 64-year-old widow, Premani Kunwar, died of hunger and exhaustion in Danda Block of Garhwa district, Jharkhand. In her case, the Aadhaar-based payment system had redirected her pension money to a different account without her knowledge, they alleged. She was also denied her foodgrain entitlement in August and November. Finally, on December 25, Etwariya Devi, a 67-year-old widow, reportedly died due to starvation in Sonpurwa village of Garhwa district’s Majhiaon block. Her family was reportedly unable to procure food after the Aadhaar-enabled point of sales (PoS) machine couldn’t authenticate the biometrics of her daughter-in-law. All these deaths took place after the Jharkhand government cancelled 11.6 lakh ration cards claiming that these were bogus as they were not linked to Aadhaar by their holders. The information of these cancellations was provided by state secretary of food and civic supply Vinay Chaubey.